Last week I went on holiday to Istanbul, which has a great many street cats. The cat is revered in Islamic tradition, so the locals are good to them. 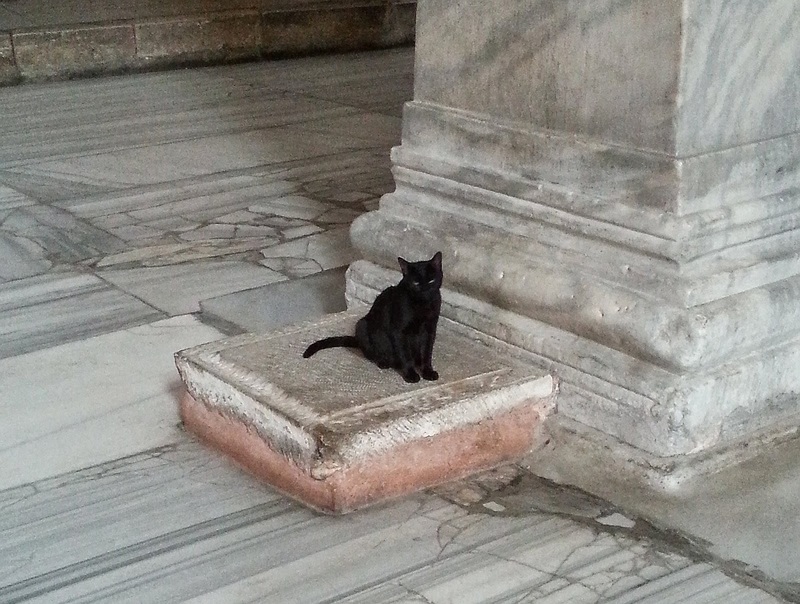 This little black cat was found in a very large structure: Hagia Sophia, first a cathedral completed in 537 AD, later a mosque and now a museum. Its central dome is slightly higher than the US Capitol rotunda. To the cats, it's just a place to hang out and enjoy the admiration of visitors.